Science News’s, Rats Feel Regret, Experiment Finds, reported that when a rat realizes it made a mistake, its body and brain show signs of regret (1). This finding is yet another nail in the coffin of human ‘exceptionalism’. Sure, we are different from rats, but so are butterflies and cats. Research like this truly challenges ideals that have humans as superior beings; stories onto which every culture on earth appears to cling, and which cultivate humanity’s collective ego. A few days ago, it occurred to me that plants aren’t the only thing humans have been cultivating since the agricultural revolution some 10,000+ years ago. However, before delving into this, we need to stipulate a fundamental aspect of Buddha’s second noble truth: “The illusion of self originates and manifests itself in a cleaving to things“. As Buddha suggests, we must verify this observation in our own experience… not merely accept it on faith. Personally, I didn’t viscerally verify this ‘illusion of self” origin until decades after I found Buddha’s Four Truths as relevant and useful overall. All I’d suggest here is that you consider this ‘illusion of self’ origin as earnestly as possible and attempt to verify it yourself. Before the agricultural revolution, physical survival had been humanity’s principle challenge. Not unlike wild animals everywhere, our main concern would have been finding the next meal. Not that this would be a problem, it is just life as usual in the wild. In the hundred thousand plus years of pre-agricultural humanity, there was no post-harvest free time; each day was more spontaneous. Daily life was a simple process of hunting and gathering, and extemporaneously dealing with whatever came up. Simply put, in the wild, there are no opportunities for ‘growth’; living is truly a circle of life. Genuine progress occurs only on an evolutionary scale in balance with the rest of nature. As we settled down to cultivate crops and domesticate animals, our day-to-day survival issues ended. However, we naturally retained our core survival instincts. The changing circumstance merely set the stage for a growing list of existential problems onto which these instincts could focus. A settled existence made possible an ever-increasing variety of ‘things’ on which to “cleave“. To name a few: land, crops, livestock, tools, buildings, hierarchical cultural institutions (e.g., farmers, warriors, artisans, priests, rulers), along with associated social status. We expanded our horizons for growth, and in the process, multiplied matters over which we could desire or worry. Yes, we have been cultivating more than just agricultural crops! Feeling you don’t quite fit in? The agricultural revolution made possible our growing sense of an individual self, or rather “the illusion of self ” (ego) and its imagined desires (need + thought) and worries (fear + thought). This growing illusion of self, culturally educated in us from birth, and augmented by all the opportunities for ‘cleaving’ to more, leaves us with a rather profound sense of disconnection compared to ancestral hunter-gatherer humanity. Archeological evidence shows that even hunter-gatherers had difficulty coping with their sense of disconnection, probably beginning some 150,000 years earlier. Here, I’m referring to the ‘thinking disease’ diagnosis bluntly made in chapter 71… “Realizing I don’t’ know is better; not knowing this knowing is disease“. It is natural for any animal to try to fix the problem it feels, like the rat feeling regret and lamenting its decision (1). Humanity’s departure from the hunter-gatherer life style launched a whole set of existential problems as the illusion of self (ego) swelled. The more firmly established the illusion of self became, the more easily threatened its self-identity. It is truly a house of cards built on an illusion. And so, we set about developing schemes to shore up our self-identity, and ostensibly fix the problem. Myth and religion have been one of the main ‘fixes’, but you can see this quest for a ‘fix’ in every area of human endeavor, particularly in politics and the arts. Well, so what now? Clearly, we are casualties of complex circumstances set in motion many millennia before we were born. The problem can easily feel insurmountable given this decisive factor: All of our ‘fixes’ have in turn become yet more ‘things’ on to which we “cleave”. Simply put, we are fighting fire with fire. Such profound irony leaves me nearly speechless, but not hopeless. We mollify this baseline suffering partly by “cleaving to things”, as Buddha put it. However, the suffering described in the Buddha’s truth above is an integral part of each living things experience. Imagine a dog, a mouse, or even a worm “being joined with that which it dislikes”, or feeling a pressing need “for that which cannot be obtained”, or “the separation from that which it loves”. Loves? Sure. For example, think of the pair-bonded goose mourning over the loss of its mate. “Cleaving” to expectations is our way of escaping the difficulties of the present… for fleeting moments at best. As it happens, attempting to avoid baseline suffering only compounds the suffering. Similar to addiction, once “cleaving” promises happiness, the “cleaving” becomes yet another source of sorrow, i.e., “painful craving” or “sad separation”. The final irony is that much of our difficulty arises from this very approach; our solution actually intensifies baseline suffering. The ego that the added “cleaving” creates suffers its own set of existential issues. The consciousness possible to think, runs counter to the constant consciousness. The consciousness possible to express runs counter to the constant consciousness. The excerpts from the Bhagavad Gita below also speak to the ‘constant. Interestingly, the Bhagavad Gita and Tao Te Ching both emerged around 500 BCE. They help attests to the unity of truth once you let go of the culturally parochial names and words used to express it. Here, simply interpret thus: Spirit = Consciousness = Way. 2:17 — Interwoven in his creation, the Spirit is beyond destruction. No one can bring to an end the Spirit which is everlasting. 2:22 — As a man leaves an old garment and puts on one that is new, the Spirit leaves his mortal body and then puts on one that is new. 2:24 — Beyond the power of sword and fire, beyond the power of waters and winds, the Spirit is everlasting, omnipresent, never‑changing, never‑moving, ever One. 2:30 — The Spirit that is in all beings is immortal in them all: for the death of what cannot die, cease thou to sorrow. Constant consciousness is everlasting; it can’t be added to; it can’t be diminished; it is eternal. It is here that we can find invincibility and immortality… the suffering of birth, growth, decay, and death, not withstanding. However, the roar of our expectations drowns out this whisper of consciousness. The glare of a cultivated ego eclipses the light of constant consciousness. So what, I say! Simply knowing that this whisper of consciousness is where peace dwells is enough. All I need do is Devote effort to emptiness, sincerely watch stillness as best I can. The first hint of rat regret came unexpectedly, says neuroscientist A. David Redish of the University of Minnesota in Minneapolis. While watching rats forage for food, graduate student Adam Steiner noticed that one rat looked as though it lamented a previous bad decision. That chance sighting led the researchers to build a regret-seeking experiment they called restaurant row. It consisted of a large arena where rats could sample four stations that served up plain food pellets or those flavored with cherry, banana or chocolate. At the entryway to each restaurant, the pitch of a chime indicated how long the rats would have to wait for sustenance. Each rat had its own flavor preferences, Redish says, allowing the scientists to figure out which restaurants and wait times represented a sweet deal to each animal. For instance, a rat that relished chocolate would happily wait about 22 seconds for a chocolate meal but would tolerate only about a 16 second wait for a plain one. Crucially, the rats had only an hour to dine, so the pressure was on to find the most satisfying food with the shortest wait. 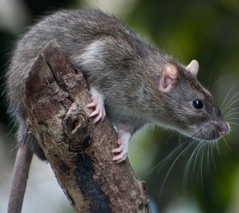 Activity in the rats’ brains also suggested the rats were ruing missed opportunities. The researchers monitored cells in two brain regions, the orbitofrontal cortex and the striatum, that fired in a distinct pattern when each rat was in a particular restaurant. When a rat skipped a good meal of banana with a short wait time but then encountered a long wait for a less-than-ideal cherry meal, for instance, the neurons behaved as though the rat were back in the banana restaurant, the team discovered. The results suggest to Steiner and Redish that the rat was replaying its bad choice in a moment of regret. The brain activity wasn’t caused by simple disappointment, the team found. When the rat got a bum deal but made the right decision at the previous restaurant, the animal didn’t show the same behavioral or brain signs. Hi. I agree with this article entirely. However, I’m a psychology graduate student and want to defend this position that the agricultural revolution led to the illusion of self and that this was the beginning of the dominoes that have fallen since. You don’t have any citations for your assertions except the Tao and Hinduism. Would you by chance have come across any science that supports this position?